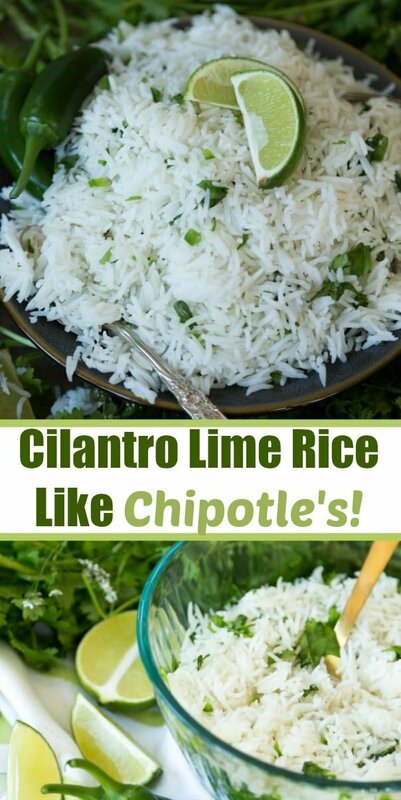 If you love the light and fresh flavors of the Mexican rice from Chipotle, you’re going to love this cilantro lime rice recipe. It’s made with four simple ingredients, it’s easy, and it’s so good with everything from tacos to meatloaf. When it comes to Mexican Rice, Chipotle does it best. It’s light, it’s bright and it’s so darn good. I always ask for extra when I order a sofritas bowl, and I can’t believe that I’m writing this, but yes, I like it better than their guac. Call me crazy, but I dream about that rice. It’s just that good. Now here’s the thing, I can’t eat at Chipotle every week, because I’m not down with eating fast food on the regular. So my best option was to create a rice that mimics theirs so I can make it at home whenever I want. 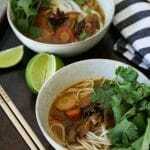 This was an easy task, as all it took was five (four if you skip the jalapeno pepper) super simple ingredients, And it only takes 20 minutes to make. The key to making this recipe is to make sure that you use a basmati rice and that you prep it before cooking it. 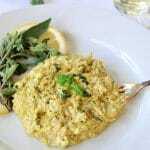 Basmati is a long grain rice that creates a lovely fluffy texture, which is what you want for this recipe. Medium grain rice, such as Arborio, is great for a risotto or a paella (recipe coming soon), but it’s too dense for this recipe. Short grain rice, such as sushi rice, is even worse for this recipe because it’s sticky. You don’t want the cilantro to get sticky and gooey. Stick with long grain Basmati rice and you’ll get the perfect texture. RINSE TWICE – Rinsing it twice will make the difference between good rice and great rice. 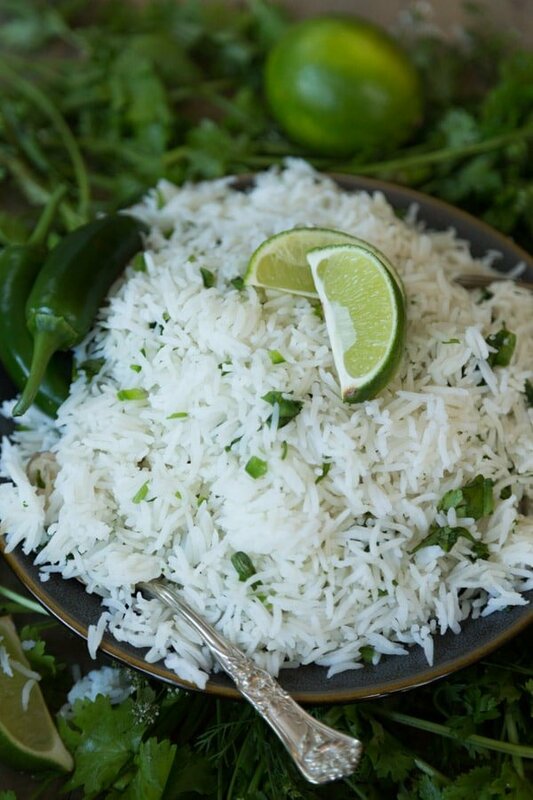 Rinsing the rice in a colander removes the excess starch, thus creating a light and fluffy rice that will pair perfectly with tacos, enchiladas, ribz, meatloaf, or anything that you want to serve this rice with. 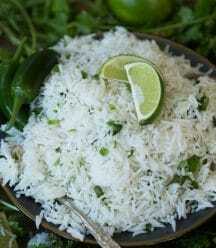 SALT THE WATER – Salting the water adds just the right amount of saltiness to the rice. You don’t want to salt it after it’s cooked. ADD BOILING WATER – Boil some water in a tea pot and use the hot water to start the boiling process of the rice. This helps to ensure that the rice is cooked to perfection. COVER WITH A TIGHT LID – You want the water to evaporate slowly and a tight fitting lid will ensure just that. COOK ON A LOW SIMMER FOR 15 MINUTES – If you follow the tips above and precisely measure the rice and water, 15 minutes is the magic cooking time. REMOVE FROM THE HEAT AND KEEP COVERED FOR 5 MINUTES – This will make the rice even more tender. 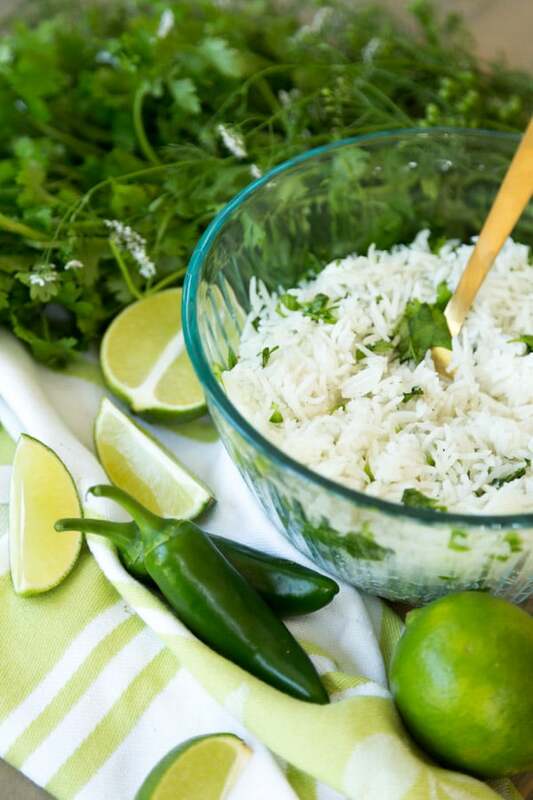 While the rice is simmering, chop the cilantro and seed and chop the jalapeno pepper. If you don’t like spicy food, skip the pepper or just put half of it in. 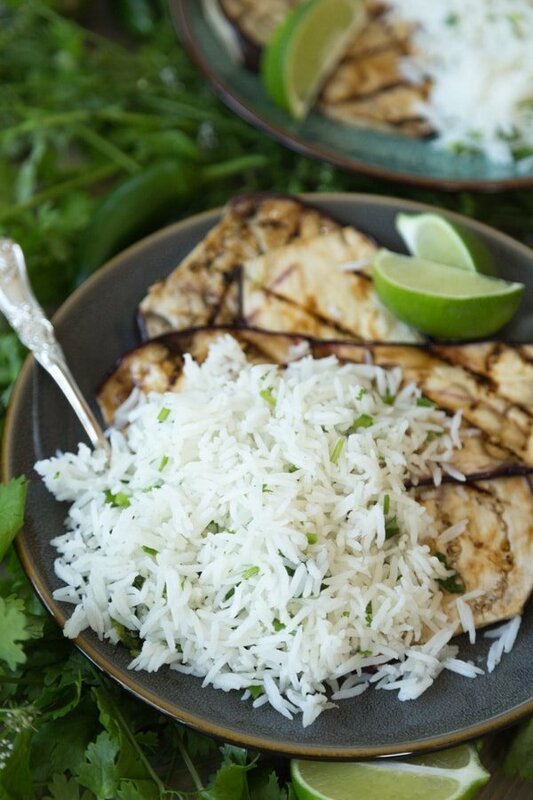 Slice the lime in half and squeeze the juice into the rice and stir in the cilantro and jalapeno until they’re completely combined. Serve it with your favorite entrée. Like I said before, I’m obsessed with this rice, and I’ve been known to eat several servings at a time. If you know me, you know that’s a true indication of a spot on recipe. 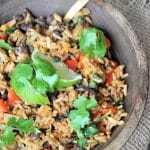 A fresh, bright, spicy and delicious rice recipe like Chipolte’s! Only 5 ingredients and 20 minutes to make!! If you don’t like spicy food, leave the pepper out or put half of it in the rice. The Nutrition Facts are an estimate only. 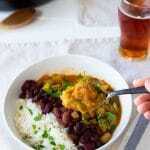 Can you make this successfully with brown basmati rice? Thanks. I picked up ingredients today and will give it a try. Great, let us know what you think. Well, it was an epic fail. Lol. I used 3 cups of water to 2 cups brown basmati. All else as stated in recipe, doubled. It was very wet and gummy. Definitely too much water. I cooked it for 40 minutes and it was a tad too soft in addition to being too wet. Perhaps I had very juicy limes, but the lime juice was overpowering. I ended up throwing it out. Next attempt will be to decrease the water to 2.5 cups Nd start with half the lime juice and add more if needed. If you make it work please share!!! Wish me luck! Oh no! Rice can be very tricky, as you know. :) I will try it today and let you know. Fingers crossed. 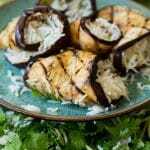 This looks wonderful, great summer flavors and simple list of ingredients. Thanks! I dream about this rice too! Love it! :) I love that you are promoting the vegan & plant powered movement. I am promoting this the plant powered way as well! All my products promote eating plant based, and help people get the conversation started about how healthy plant based diets can be! :) I hope you can check it out! Thanks for sharing these beautiful recipes! So glad to hear it, Cat. Thank you so much!! We'll definitely check your site out.